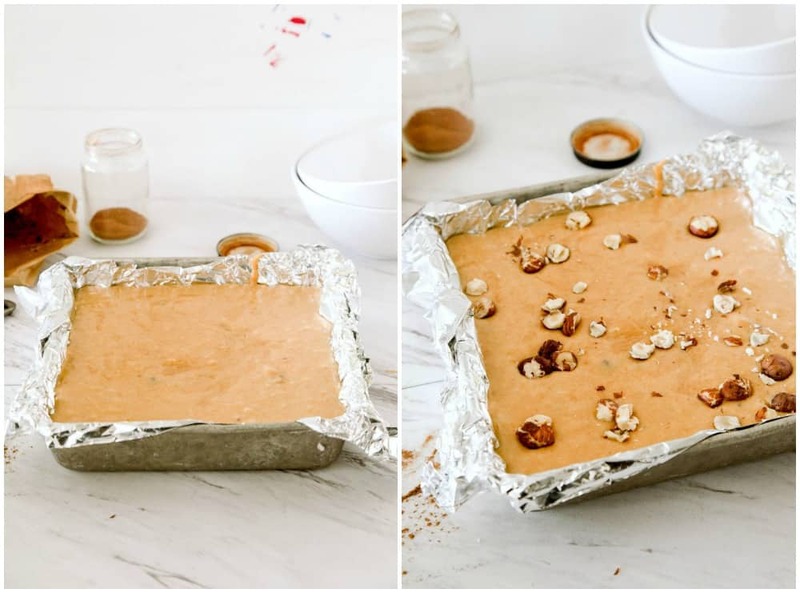 This pumpkin fudge recipe is one of my favorite fall desserts! 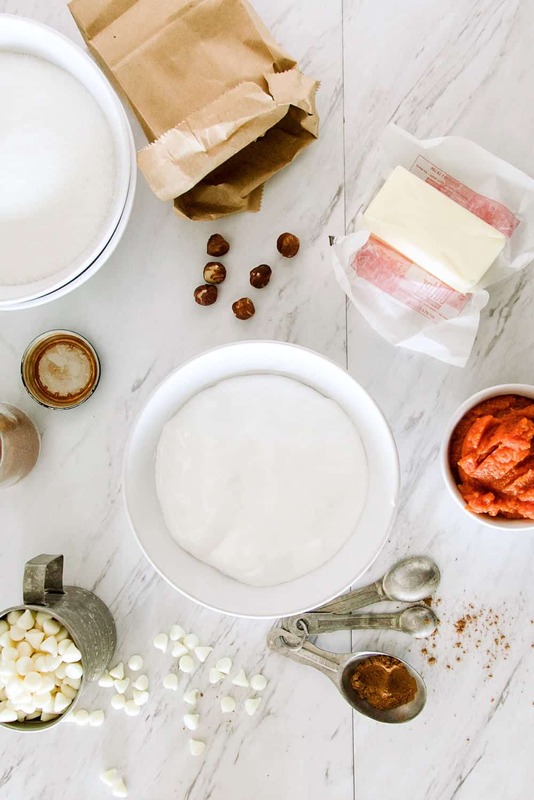 Learn how to make it here, including tips for successful fudge every time. 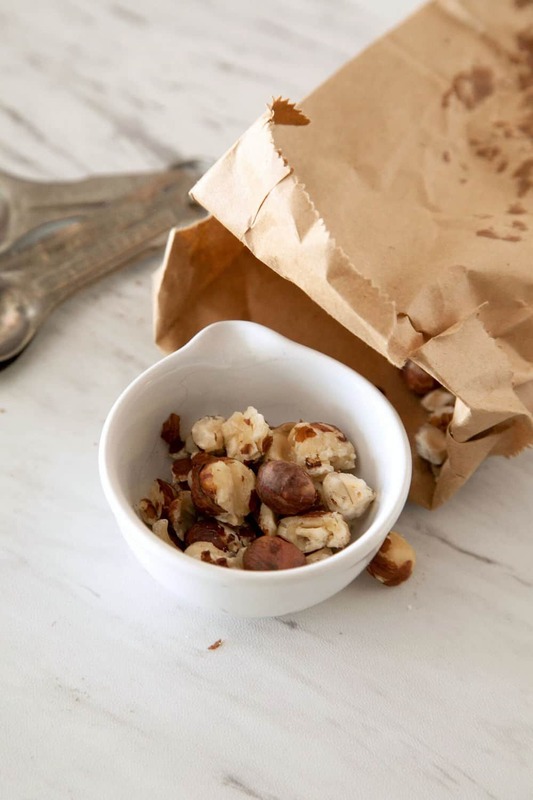 You can add the hazelnuts or leave them out – it’s up to you. 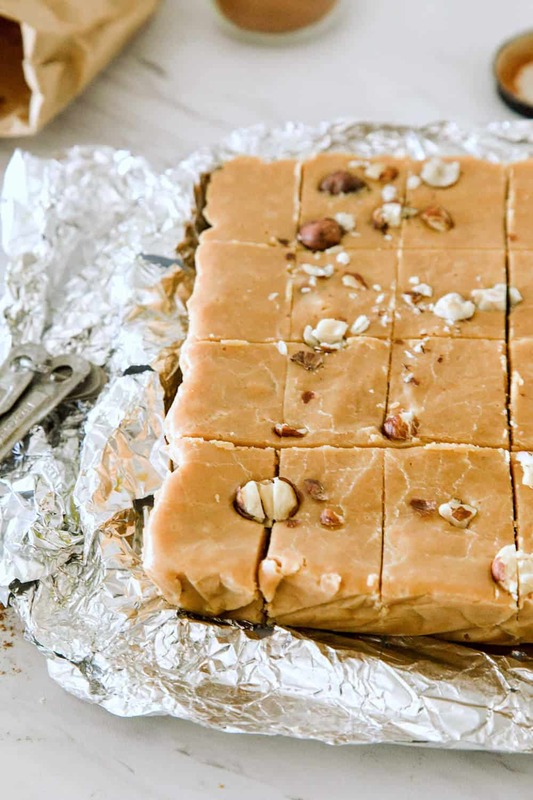 Either way, this fudge recipe is amazingly tasty. Thanksgiving is nearly here! 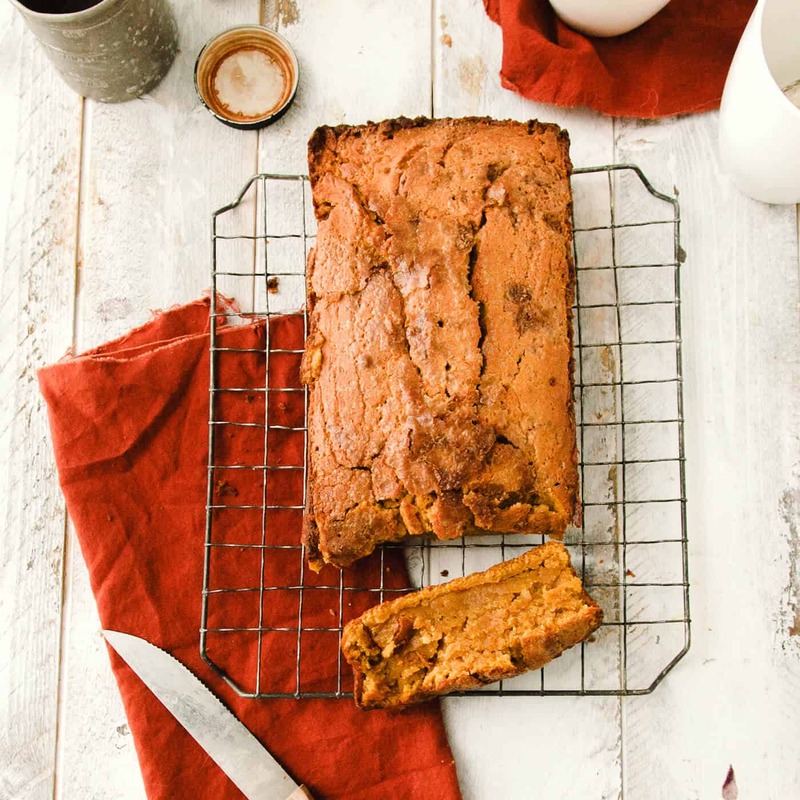 We are in the thick of Pumpkin Season, and while savory sides and sweet pies tend to get most of the attention, another delicious way to use pumpkin is to make pumpkin fudge! 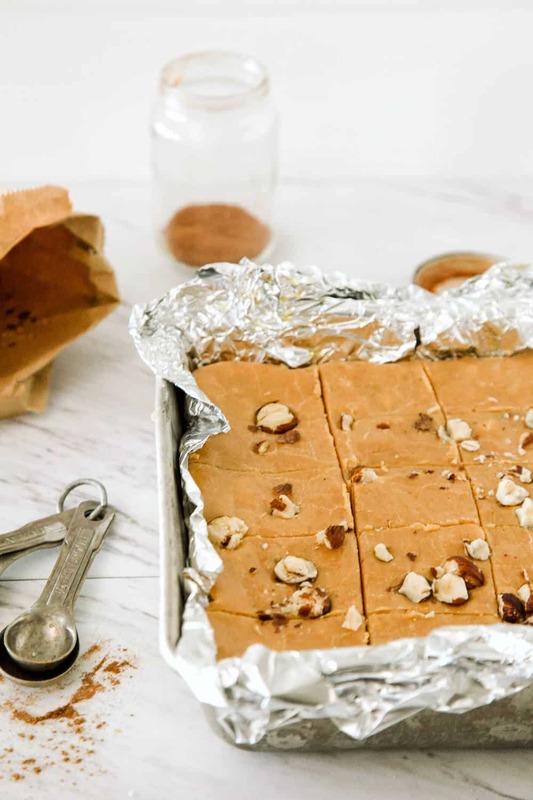 This is a little bit of a twist on the regular pumpkin fudge your grandma probably made – there’s the addition of some Kosher salt and roasted, chopped hazelnuts to elevate it into something a little more modern and special. 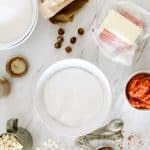 Before we dive in, I want to share my best tips for fudge success! Try not to stir the fudge after the initial boiling. Sugar crystals stick to the side of the pan, and if you stir them in, it can cause your fudge to be grainy. To prevent/reduce the amount of sugar crystals on the sides of the pan, brush the sides of the pan with a brush dipped in water before adding your ingredients. 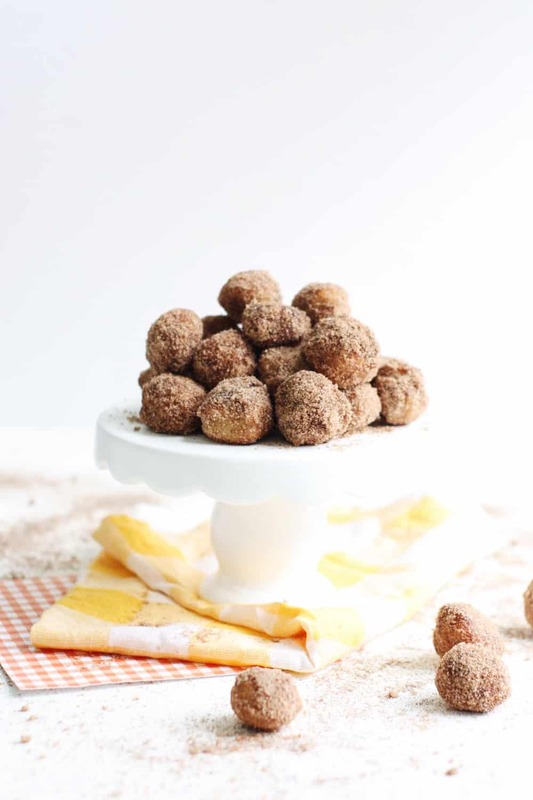 It’s worth making this with a candy thermometer, but if you don’t have one, keep a very close eye on your boiling sugar and ensure that you work quickly once you reach the “soft ball” stage. Check if the fudge has reached the soft ball stage by dropping a spoonful of the sugar syrup into cold water. It should form a soft, flexible ball – and then you know it’s ready. To beat fudge, stir it quickly with a wooden spoon until it becomes thicker and loses its gloss. This can take between 5 – 15 minutes. I’ll be honest . . . I lose my patience. But if you beat the fudge for the appropriate amount of time, it will be smoother. 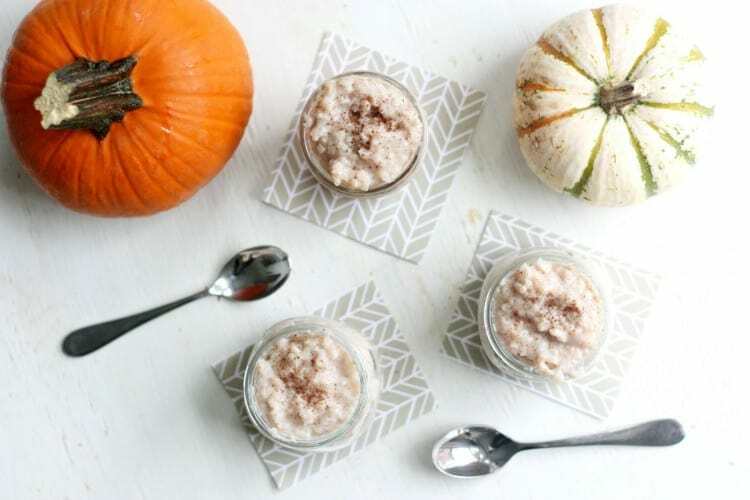 Some people do it with their hand and a spoon, and others use an electric mixer. If your fudge doesn’t set properly, you can reheat it. You will need to add in 1 to 1 1/2 cups of water and get it to the soft ball stage again. 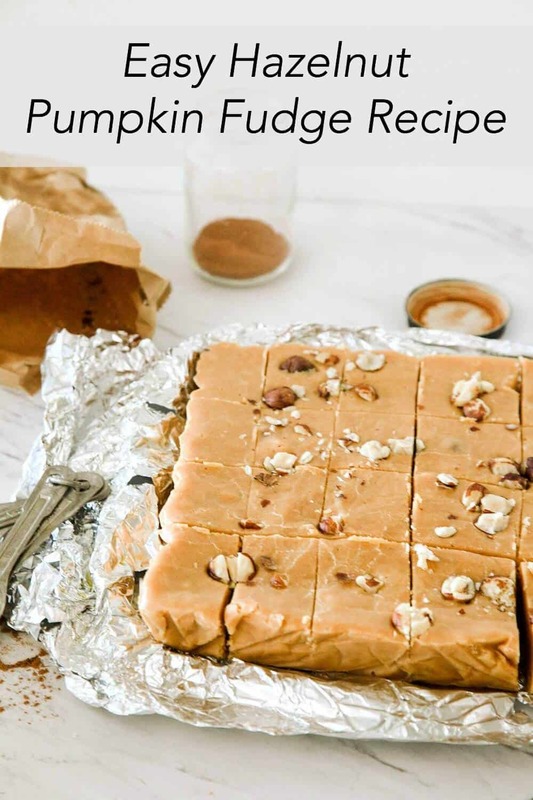 This pumpkin fudge recipe makes a wonderful hostess gift, teachers holiday present, or something to share with your work colleagues on the Wednesday before Turkey Day. Keep reading to get the recipe! Line an 8 x 8 baking pan with foil, then grease with baking spray. 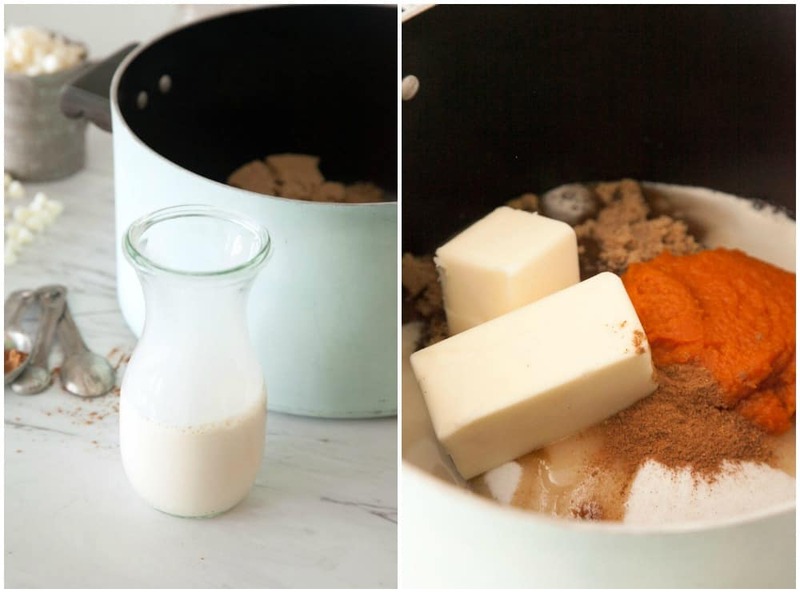 Combine sugar, brown sugar, evaporated milk, pumpkin, butter, salt, and spice in a medium saucepan. Bring sugar mixture to a rolling boil, stirring gently. 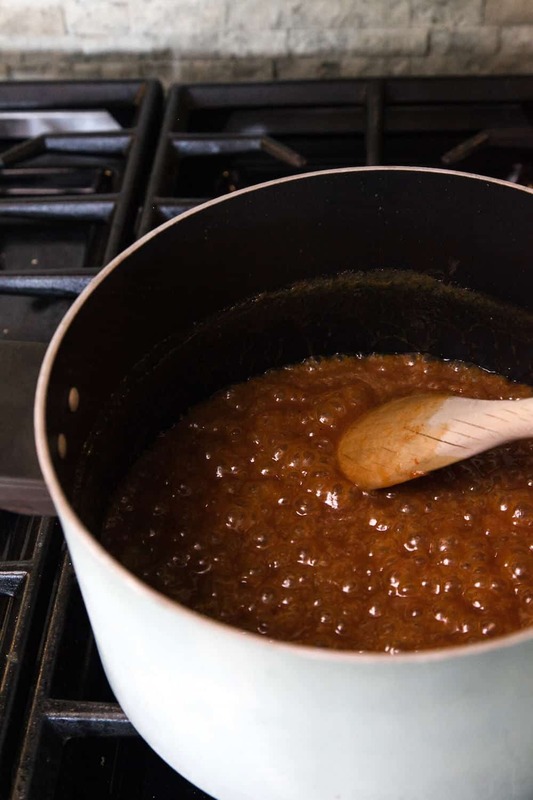 Boil, stirring as little as possible, for 12 – 14 minutes or until candy thermometer reaches 236°. When the mixture has reached the ‘soft ball’ stage, take it off the heat. Let cool for about 10 – 15 minutes and stir in the chocolate chips, marshmallow cream, and three-fourths of the hazelnuts. It’s at this time that you can beat the fudge. You’ll want to beat the fudge until it’s thickened and lost its gloss (between 5 – 15 minutes). The goal is that it starts setting right after you pour into into the pan. Immediately pour into the prepared pan. Top with remaining hazelnuts. Let the pan stand on a wire rack until completely cooled, then refrigerate tightly-covered. 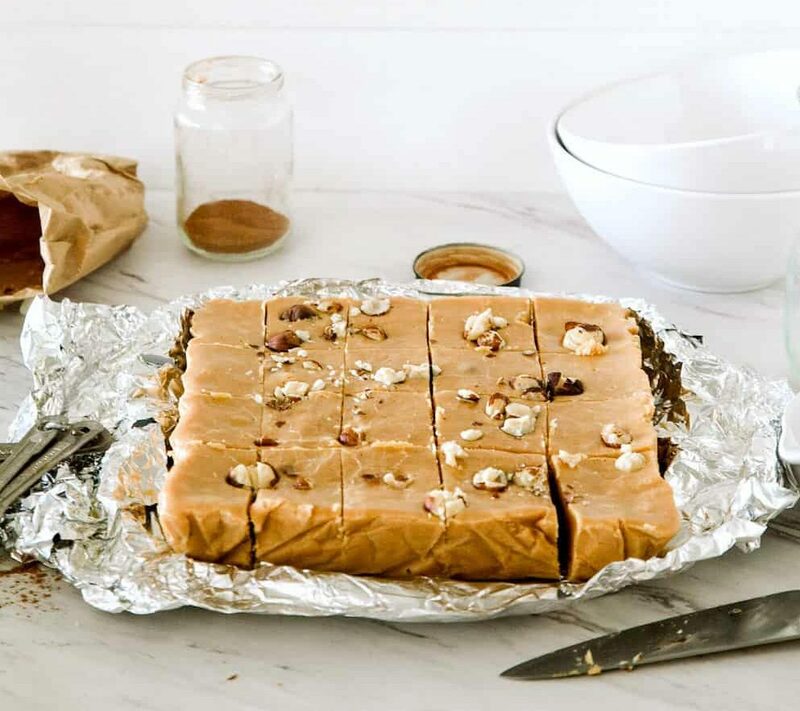 To serve your pumpkin fudge, lift from the pan; remove the foil and cut into ¾ inch squares. Enjoy! 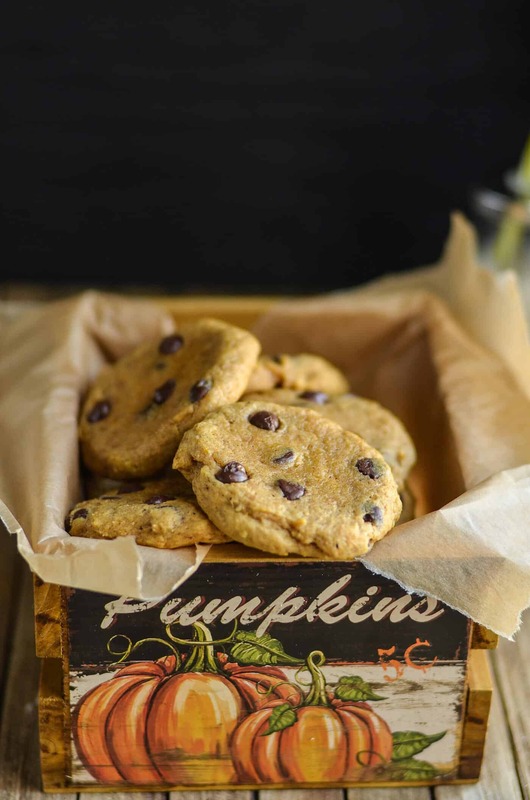 While sweet pies tend to get most of the attention during pumpkin season, another delicious way to use this ingredient is to make pumpkin fudge! Line an 8x8 baking pan with foil, then grease with baking spray. Bring sugar mixture to a rolling boil, stirring constantly. Boil, stirring constantly, for 12-14 minutes or until candy thermometer reaches 236°. When the mixture has reached the ‘soft ball’ stage, take it off the heat. Let cool for about 10 - 15 minutes and stir in the chocolate chips, marshmallow cream, and three-fourths of the hazelnuts. It's at this time that you can beat the fudge. To serve, lift from the pan; remove the foil and cut into ¾ inch squares.